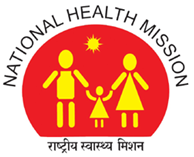 National Health Mission (NHM), Hingoli Recruitment Notification 2018.NHM inviting applications for the positions of Community Health Provider.Interested and Eligible candidates can apply for the positions. Candidates must be completed BAMS degree from the recognized Organization / Board. Candidates, age must be maximum 43 years. Fora ge relaxations check official notification. Candidates can download in the prescribed form from website http://nhm.gov.in/ and send their application form on or before 24th July 2018 and all attach relevant documents should be submitted to the given address below. District Health Office, Zilla Parishad Hingoli.